Eschew the tourist crowds and head to Tahune Forest AirWalk and Mawson's Hut Replica Museum. Explore Hobart's surroundings by going to Willie Smiths Organic Apple Cider (in Huonville), Bonorong Wildlife Sanctuary (in Brighton) and Russell Falls (in Mount Field National Park). Spend the 15th (Thu) wandering through the wild on a nature and wildlife tour. 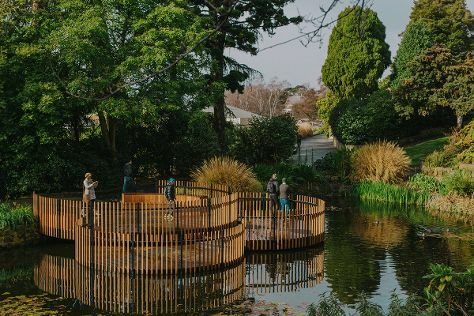 There's lots more to do: take in the awesome beauty at Mount Wellington, admire the landmark architecture of Richmond Gaol, take some stellar pictures from Mount Nelson Lookout, and admire the natural beauty at Royal Tasmanian Botanical Gardens. For reviews, maps, photos, and tourist information, go to the Hobart day trip planner. Sydney to Hobart is an approximately 4.5-hour flight. You can also do a combination of train, ferry, and bus; or do a combination of bus and ferry. Traveling from Sydney in November, expect Hobart to be little chillier, temps between 22°C and 11°C. Finish your sightseeing early on the 16th (Fri) to allow enough time to drive to Port Arthur. 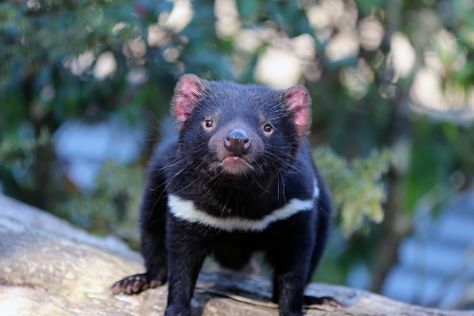 You'll discover tucked-away gems like Tasmanian Devil Unzoo and Remarkable Cave. 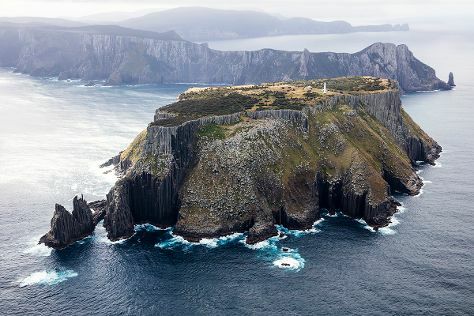 Explore the numerous day-trip ideas around Port Arthur: Eaglehawk Neck (Waterfall Bay & Tasman Arch). To find more things to do, traveler tips, other places to visit, and tourist information, use the Port Arthur day trip planning tool . Traveling by car from Hobart to Port Arthur takes 1.5 hours. Alternatively, you can take a bus. November in Port Arthur sees daily highs of 22°C and lows of 11°C at night. Finish your sightseeing early on the 22nd (Thu) to allow enough time to travel to Queenstown. The pink and grey hue of the mountains surrounding Queenstown is due to unique mineral deposits in the sediment. Discover out-of-the-way places like Morrisons Huon Pine Sawmill and Zeehan Rock Shop. Venture out of the city with trips to Strahan (Hogarth Falls, Henty Dunes, & more), West Coast Heritage Centre, Zeehan (in Zeehan) and Gordon Dam (in Strathgordon). There's lots more to do: admire the sheer force of Nelson Falls, enjoy breathtaking views from Iron Blow Lookout, see the interesting displays at Eric Thomas Galley Museum, and get great views at Horsetail Falls. To see photos, traveler tips, where to stay, and tourist information, read Queenstown trip itinerary planner . Getting from Port Arthur to Queenstown by car takes about 5 hours. Finish up your sightseeing early on the 26th (Mon) so you can travel to Cradle Mountain-Lake St. Clair National Park. Discover out-of-the-way places like Devils @ Cradle and Leven Canyon. Explore the numerous day-trip ideas around Cradle Mountain-Lake St. Clair National Park: Sheffield (The Working Art Space and Gallery, The Emporium, & more), Wilmot Country Store (in Wilmot) and Ulverstone (Preston Falls & Under The Oak, handmade gallery and gifts). On the 1st (Sat), hike the day away at The Overland Track. There's lots more to do: contemplate the waterfront views at Lake St. Clair, take a peaceful walk through Franklin River Nature Trail, get great views at Tarraleah Power Station Lookout, and explore the fascinating underground world of Gunns Plains Caves. To see traveler tips, ratings, more things to do, and more tourist information, read Cradle Mountain-Lake St. Clair National Park road trip planning tool . You can drive from Queenstown to Cradle Mountain-Lake St. Clair National Park in 4.5 hours. Wrap up your sightseeing on the 3rd (Mon) early enough to drive to Launceston. 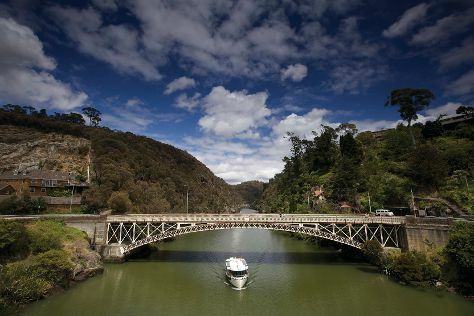 You'll discover tucked-away gems like The Tamar Valley and Beaconsfield Mine & Heritage Centre. Get out of town with these interesting Launceston side-trips: Latrobe (Reliquaire & House of Anvers Museum of Chocolate), Beauty Point (Seahorse World & Platypus House) and Holm Oak Vineyards (in Rowella). There's much more to do: look for all kinds of wild species at Cataract Gorge Reserve, savor the flavors at Food & Drink, see the interesting displays at National Automobile Museum of Tasmania, and admire the masterpieces at Queen Victoria Museum & Art Gallery. To find photos, where to stay, and tourist information, read our Launceston trip planning app . You can drive from Cradle Mountain-Lake St. Clair National Park to Launceston in 3.5 hours. Alternatively, you can do a combination of taxi and bus; or do a combination of car and bus. In December, plan for daily highs up to 25°C, and evening lows to 10°C. Wrap up your sightseeing on the 10th (Mon) early enough to travel back home.